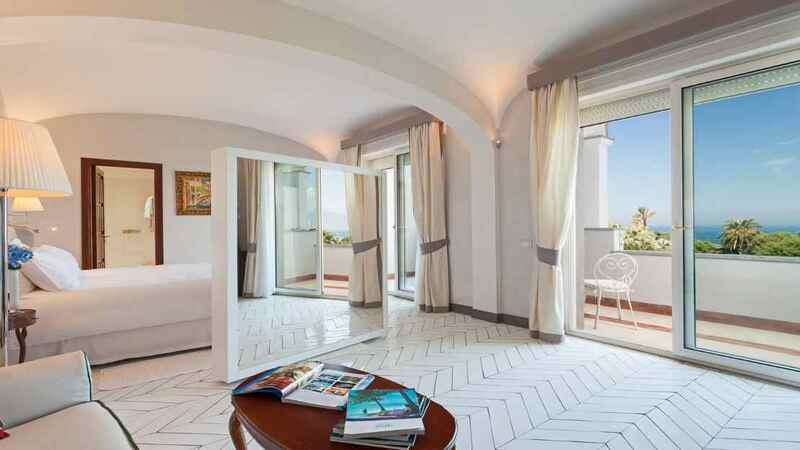 Discover the majestic splendour of Italy’s Neapolitan Riviera with a stay in the heart of Sorrento at the Grand Hotel Cocumella. 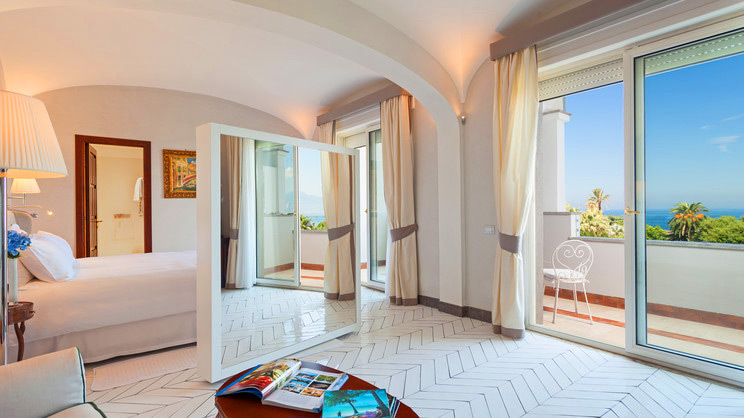 Surrounded by pretty gardens, this exquisite retreat is an ideal sanctuary from where to immerse yourself in the incredible culture and beauty of the region and experience the Amalfi Coast, Naples and the ruins of Pompeii and Herculaneum. 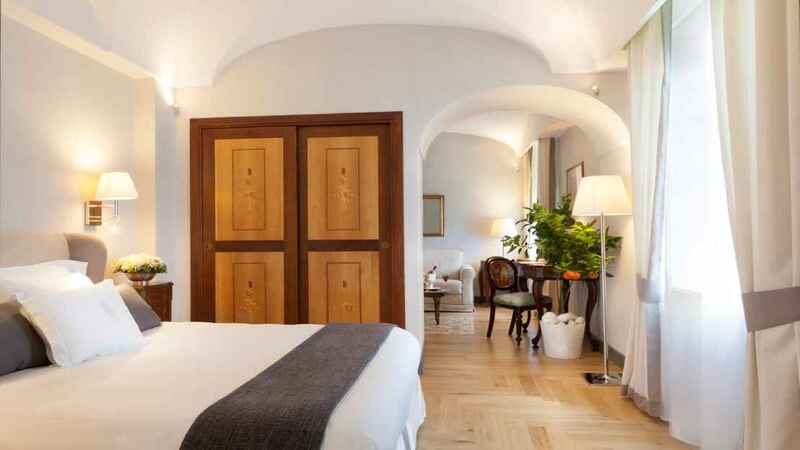 Featuring elegant rooms, a private beach, swimming pool and a trio of restaurants, a holiday at the Grand Hotel Cocumella, promises an unforgettable experience in a captivating destination. The Grand Hotel Cocumella boasts a private beach, which can be accessed via a lift or through a picturesque passage carved into the rock. 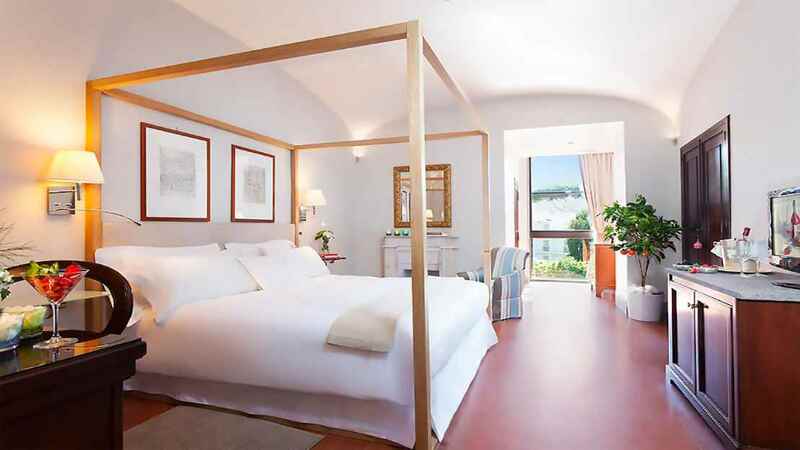 A selection of shops, bars, cafes and restaurants can be found close to the Grand Hotel Cocumella. 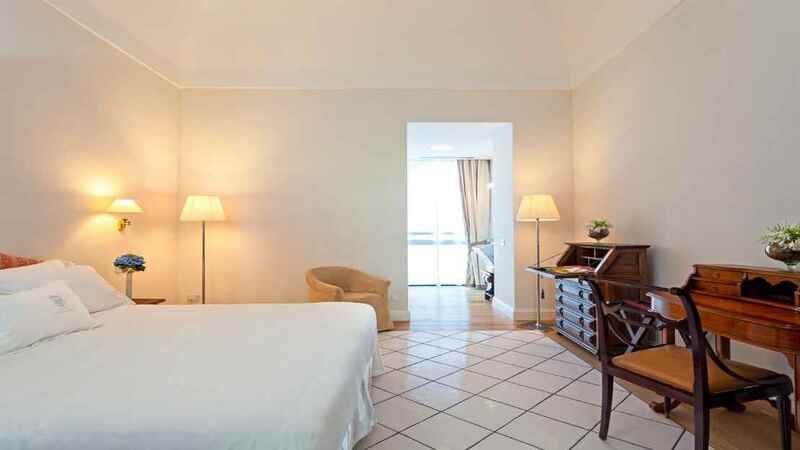 Naples International Airport is approximately 51km away from the Grand Hotel Cocumella.